How Far is Barys Lake Side Habitat? Spread over 2.75 acres of sprawling land, Lakeside Habitat offers luxurious 3 BHK residential apartments in the City of Gardens. All the 106 apartments provided under the project face the sparkling lake, making the living a comfortable one. One of the tallest structures in the city, the project boasts of architectural marvel with its International class & style. 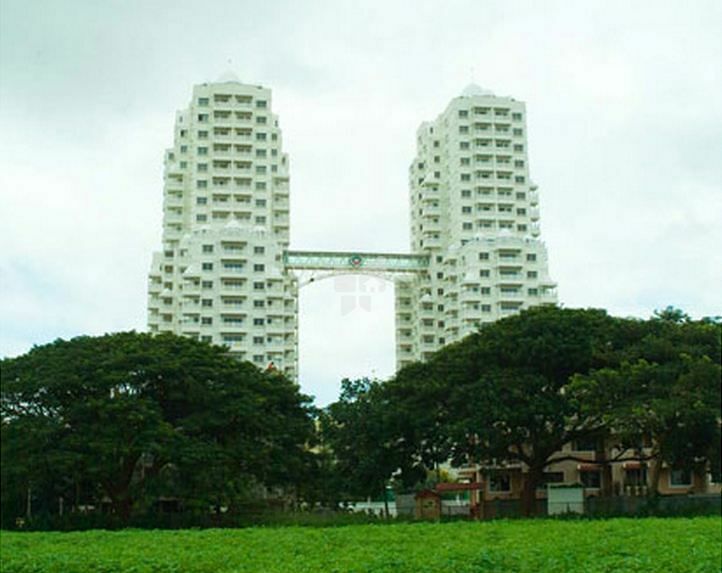 The twin towers, Alpha & Omega, prove to be an iconic landmark overlooking the Hebbal Lake. The towers are conjoined by a spectacular bridge at the mid level. The bridge showcases a welcome arch to Neo-Bangalore en route, to the impending International Airport. State-of-the-art facilities are provided to the residents at the Lakeside Habitat. The residents are provided with amenities like colossal swimming pools, gym, club house, park and options of indoor and outdoor recreational activities. Hara Properties And Holdings is a Hyderabad based Real estate company, initiated with a strong belief in delivering 'Comfortable Living Spaces'. Our business philosophy lies in the commitment to create quality building through innovation and knowledge with customer satisfaction as our primary goal.